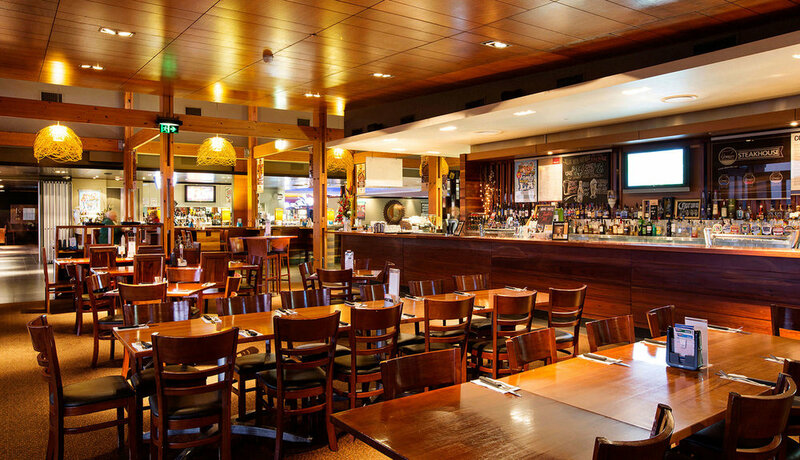 Situated on top of Buderim and recently refurbished, The Buderim Tavern specialises in the best quality steaks and freshest seafood available. We have people travel from all over the southeast to experience what we have to offer. Even the children are catered for with a kids indoor and outdoor play area. Located in the heart of Buderim village and only 10 minutes from Mooloolaba the Buderim Tavern makes an easy destination for locals and tourists. The spectacular views range from the Mooloolah Valley to the beaches of the Sunshine Coast and on a clear day out to the white sandy cliffs of Moreton Island. Open 7 days lunch and dinner, wheelchair access, and ample parking. Featuring a 250 seat dining area with views across the Sunshine Coast, wooden fire places, extensive wine list and we offer family friendly dining with two kids areas. The restaurant is open seven days and bookings are essential. Situated on the Western side of the building with coastal views the Sports Bar is ready for action with big screen TV's for all the latest Sporting action. 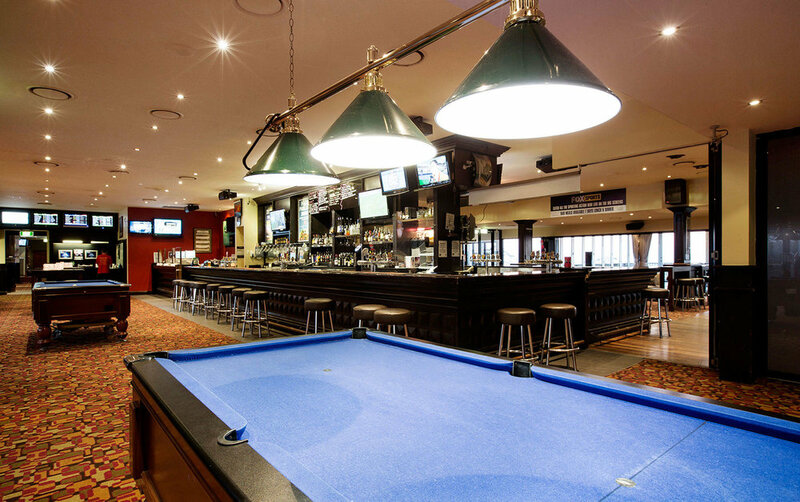 Separate Tab area with 10 dedicated race screens and ice cold tap beer served daily from 10am. With million dollar views this bar is equipped with wooden fire places, comfy lounges and the best local and international tap beer served ice cold every day from 10am. Our Gaming Room is newly renovated with 40 of the latest machines, including the latest games and jackpots like Lightning Link and the new Dragon Link. Come in and let our friendly team give you the VIP treatment you deserve, with complimentary Tea and Coffee, Soft Drinks and a great variety of snacks, not to forget our all new Sweet 'n' Savoury Trolley. For those that may need a little more we offer a great snack menu and a Gaming Bar offering a wide range of alcoholic and non-alcoholic beers and beverages. And while you're our guest, become a Monty's member and start earning points, discounts and receive updates of all our major promotions and event. Just ask one of our friendly team members to get you started, or you can download the Monty’s Reward’s APP via the Apple Store or Google Play, IT’S FREE! If a little more security is what need one of our friendly team will even walk you to your car! With all this and much more, what are YOU waiting for? Make the BT YOUR place to be.